FREE WiFi for your mobile or laptop during your stay. High standards, excellent quality products and personal attention is the norm whilst staying with us. 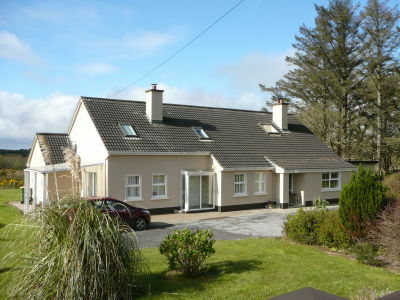 Bed and Breakfast Accommodation in the heart of West Kerry. Am Luí, Ballinaboula, Dingle, Co. Kerry. Ireland. 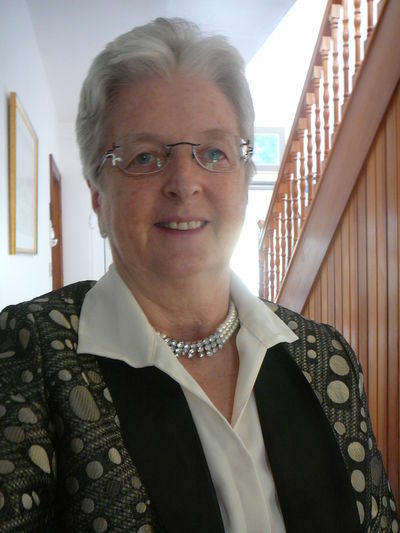 Jill and family welcome you to our spacious and comfortable home in the heart of the Dingle peninsula with commanding views to our left of Mount Brandon; Irelands second highest mountain, and to our right Mount Eagle, with Dingle harbour in the distance. On arrival at The Liston Family B/B guests are welcomed in our conservatory or in their rooms to complementary tea or coffee and a chat if time permits. You can then browse through our extensive collection of brochures on the area. Complementary Tea, coffee, herbal tea and Hot Chocolate is available in each room. For 'reference only' are special walking tour maps of the 'Dingle Way', or 'Pilgrims Walks' which can be kept till day of departure, also we have a small history of the Archaeology of the area, as yet not published. Whatever your interests we are available at all times to help especially in areas of Sailing, bicycle hire, walking areas, local crafts, motoring day trips, golf, windsurfing, horse riding or visiting our local wild dolphin 'Fungi'. There is a "Blue Flag" beach nearby in Ventry which is three miles long and features various water sports. Dingle has barely half-a-dozen streets and 1,500 Citizens - yet it is arguably the fun capital of the Western World. Other towns and cities may rival it for eating and drinking, but which of those can boast as well, the music, the banter, the sea, the sand, the scenery, a certain famous dolphin, and the easy warmth of the welcome. Tens of thousands make the annual pilgrimage here, their mission to learn from the natives how to enjoy themselves. Most, or all of them, succeed - - the local strain of craic is highly infectious! But Dingle is much more than just merrymaking. Quieter pleasures include a number of interesting walks, a great many historical remains, especially Ogham Stones, and the gentle call of the ambient hills. Nor is Dingle devoid of gravitas. This was, and is a serious market town, built upon fishing and farming. As elsewhere in Ireland, field sports, especially Gaelic football, are a perennial passion. Soccer too is keenly followed. The Dingle Races in August are a manifestation of Kerry's love affair with the horse. And of course there is an annual regatta using the old type naomhógs. We are a non-smoking house, with smoking only allowed in our conservatory or outside. Free off the road parking is available outside our front door. We are happy to make recommendations, and to make reservations for the finest gourmet eating houses of Dingle, especially local fresh fish. Today, there have been 23378 visitors (49069 hits) on this page!